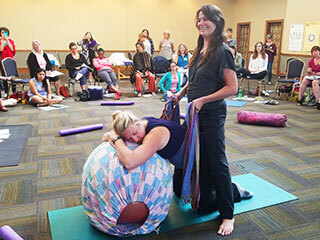 Childbirth educators or registered RYPT prenatal yoga instructors (200 hours) can become certified to teach the Spinning Babies® Parent Class to pregnant parents. When certified, you will be able to teach a 3-hour Spinning Babies® Parent Class module to pregnant parents. Do you qualify to become a Spinning Babies® Certified Parent Educator? Please review requirements before registering. Have your documents ready to upload. 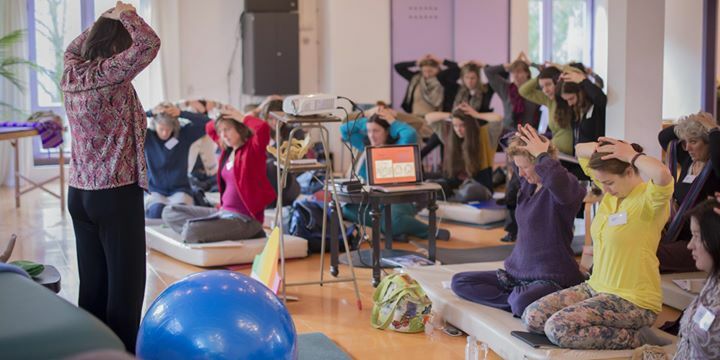 Open to Certified Childbirth Educators, Registered Prenatal Yoga instructors (200 hours) and non-certified childbirth educators who have taught at least five childbirth education classes. There are two paths to qualify. Action: Upload a scan or photo of your Certificate. a.) A class list of 5 group classes. 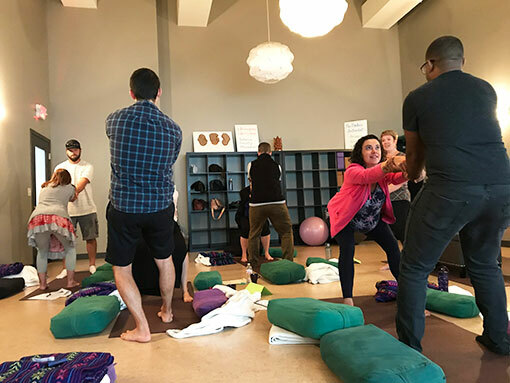 Include a letter from a supervisor validating that you have taught 5 classes as a childbirth educator at their hospital, yoga center, agency or business. b.) A letter from a Spinning Babies® Certified Parent Educator who can affirm they know you have done the steps above in “a. )” above. c.) Image of certificate expired within 2 years of active certification. If longer than 2-years, provide proof of 5 group classes as listed in “a. )” above. A colleague’s letter who is not one of the above. Who is not eligible to take this training? A midwife, chiropractor or other professional who teaches client workshops but not comprehensive childbirth education. 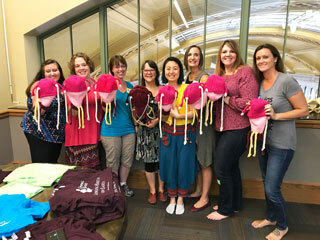 Midwives, Nurses, and bodyworkers may want to take a Spinning Babies® Aware Practitioner Workshop or approved substitute. One Spinning Babies® Workshop must be completed before applying. It must be within three calendar years of the SpBCPE Training. 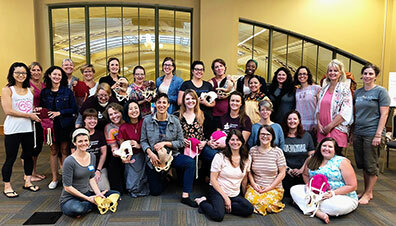 Did we miss a wonderful, comprehensive childbirth education program? Send us an email! Which programs are not eligible as a pre-requisite? 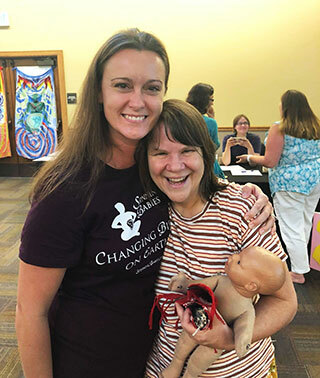 Once you are fully registered for the Spinning Babies® Certified Parent Educator Training there are several steps to complete before the in-person training. Allow time to complete steps. What support does Spinning Babies give their Certified Parent Educator’s? How to become certified/recertified as a Spinning Babies® Parent Educator. Early Bird tickets are limited and sell quickly — Save $100 by registering today! Step 1. Fill out the 10 question form at this link which includes uploading your document that proves you are certified as a childbirth educator, or prenatal yoga instructor, or providing the proof that you have taught 5 group childbirth education classes if you are not certified. Step 2. We will review your application and upon acceptance, you will be sent the link to register for the training. Step 3. Receive and sign the Parent Educator agreement with Spinning Babies®. All steps are necessary to complete registration. *Please note all CPE Trainings and materials are currently only available in English and Portuguese. Please, make sure you have read about the certification process before applying and registering.